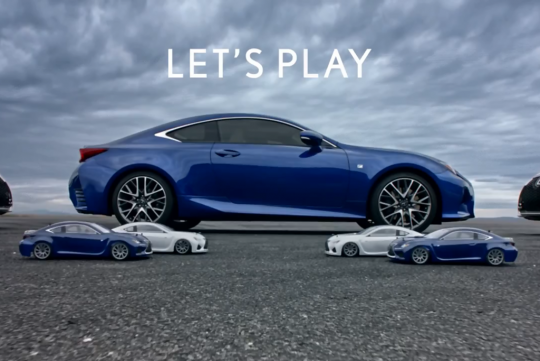 Lexus tried to grab some attention at the recent Super Bowl 2015 with a creative TV ad featuring its entry level RC 350 coupe. Entry level in this case does not mean it is slow by any means with its 3.5-litre V6 pushing out a good 306bhp. For those have not heard of Super Bowl, it is is the annual championship game of the National Football League (NFL), the highest level of professional football in the U.S.A., ending a season that begins in the late summer of the previous calendar year where the top teams fight it out. Viewership is exceptionally high during the event and many watch the game for the commercials only. Hence many companies try their best to steal the limelight with their creative ads. Watch and let us know whether Lexus did so or not. In case you have not noticed by now, good word playing on Lexus's part with Remote Control cars also known as RC cars.